Keep switched on for the week ahead with this comprehensive TV listing magazine which includes all freeview channels. 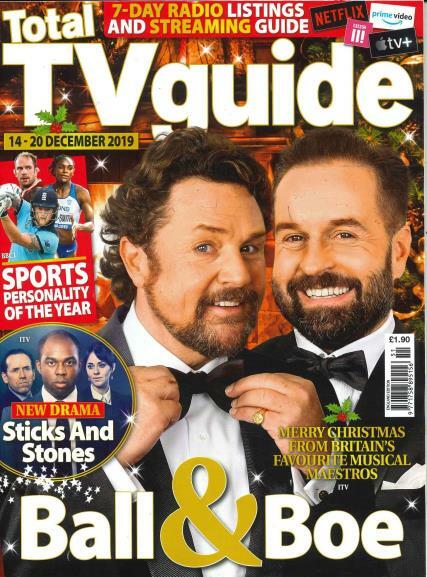 Each issue will include fascinating features and interviews with top TV stars and will highlight the best programms to air in the week ahead. There is also a dedicated film section giving a great insight into what films you really dont want to miss. Daily listings for Sky, Freesat, Virgin and Freeview channels give you comprehensive listings as well as Radio listings. Buy a single issue or subscription to Total TV Guide with Unique Magazines today and you will never miss your favourite TV and Radio shows.